Former Lululemon CEO and company founder Chip Wilson has struck a new deal with those currently running his stretchy pants empire: he's cutting his shares in half and selling them to Advent, a private equity company. In exchange, Wilson has promised not to fight the board over the direction they're taking the company in – for now, at least. Mr. Wilson, lululemon and Advent have affirmed their commitment to ensuring best practice corporate governance. As the Financial Post notes, as a member of the board, Wilson "has been voicing his displeasure with the company's current direction." 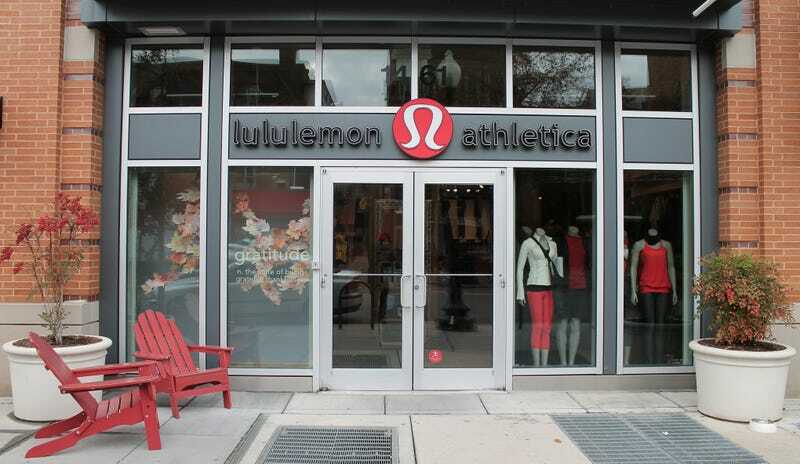 Whether he wants to let go or not, as the rest of the Lululemon board likely hoped it would, the announcement of Advent's new involvement in the company bumped their stock up, perhaps because Wilson is now less likely to publicly put his foot in his mouth. Wilson's family, at least, is focused on new endeavors: Just this week, his son and his wife/Lululemon co-founder opened a new clothing store in Vancouver that sells clothes made of "qemir." Qemir is, according to the Huffington Post, "an interesting luxury fabric blend...which is made up of 81 per cent viscose, nine per cent cashmere, and 10 per cent elastane."